The consumption of non-renewable sources like oil, gas and coal is increasing at an alarming rate. The time has finally come to look after some other renewable sources of energy i.e. solar, wind and geothermal energy. Although many countries have started utilizing solar energy extensively but still they have to go a long way to exploit this energy to fulfill their daily demand for energy. Here are few facts on solar energy that can help you assess the potential of solar energy to meet global requirements. Solar energy refers to energy from the sun. The sun has produced energy for billions of years. It is the most important source of energy for life forms. It is a renewable source of energy unlike non- renewable sources such as fossil fuels. Solar energy technologies use the sun’s energy to light homes, produce hot water, heat homes and electricity. The main benefit of solar energy is that it does not produce any pollutants and is one of the cleanest source of energy. It is a renewable source of energy, requires low maintenance and are easy to install. The only limitation that solar energy possess is that it cannot be used at night and amount of sunlight that is received on earth is depends on location, time of day, time of year, and weather conditions. Fact 1: Solar energy is a completely free source of energy and it is found in abundance.Though the sun is 90 million miles from the earth, it takes less than 10 minutes for light to travel from that much of distance. Fact 2: Solar energy which comprises of radiant heat and light from the sun can be harnessed with some modern technology like photo-voltaic, solar heating, artificial photosynthesis, solar architecture and solar thermal electricity. Fact 3: The solar technology can be distinguished into active and passive. Photovoltaic panels and solar thermal collectors which harness solar energy are examples of active solar technology. Passive technology includes constructing rooms to improve air circulation, orienting space to favorably use sunlight. Fact 4: The earth gets 174 Petawatts of incoming solar radiation in the upper atmosphere. About 30% is reflected back to space and the rest is absorbed by oceans, clouds and land masses. Fact 5: The water cycle is an important result of solar insulation. The earth, oceans and atmosphere absorb solar radiation and their temperature rises. Warm air rises from the oceans causing convection. When this air rises to high altitudes, clouds are created by condensation of water vapor. These clouds cause rains that bring water back to the earth’s surface which completes the water cycle. Fact 6: Solar energy has also another use. By means of photosynthesis, solar energy is converted by green plants into chemical energy which creates the bio mass that makes up the fossil fuels. Fact 7: Horticulture and agriculture seek to make the maximum use of solar energy.These include techniques like timing of planting cycles and mixing of plant varieties.Green houses are also used to convert light into heat to promote year round cultivation of special crops. Fact 8: Solar powered hot water systems utilize solar energy to heat water. In certain areas, 60 to 70% of water used domestically for temperatures as high as 60 degree Celsius can be made available by solar heating. Fact 9: Solar chimneys are passive solar ventilation systems. Shafts connect the interior and exterior of the building. The functioning can be improved by glazing and using thermal mass materials. Fact 10: Solar energy can also be used for making potable, brackish or saline water.Without using electricity or chemicals, waste water can be treated. Creating salt from sea water is also one of the oldest uses of solar energy. Fact 11: Clothes can be dried in the sun using clothes lines, cloth racks etc. Fact 12: Food can be cooked, dried or pasteurized using solar energy. Fact 13: Solar power is the most exciting use of solar energy. It is how solar energy is converted into electricity by using either photo-voltaic (direct method) or concentrated solar power (Indirect). Large beams of sunlight are focused into a small beam using mirrors or lenses in the case of concentrated solar power. Photoelectric effect is used by Photo voltaic to convert solar energy into electric energy. Fact 14: Solar chemical processes replace fossil fuels as a source for chemical energy and can make solar energy storable and transportable. Photosynthesis can create a variety of fuels. Technology for producing Hydrogen is a major area of solar chemical research. Fact 15: Thermal storage systems can store solar energy in the form of heat by using common materials with high specific heat such as stone, earth and water. Solar energy can be stored also in molten salts. Fact 16: The oil crisis of 1970 revealed the delicate nature of fossil fuels as a source of energy for the world. As such research in alternative, renewable energy technology like that of solar and wind energy gained momentum. Fact 17: Solar energy is being recognized as the future of alternative energy sources as it is non polluting and helps combat the Greenhouse effect on global climate created by use of fossils fuels. Fact 18: Common domestic use of solar energy is from solar panels which absorb solar energy to use for cooking and heating water. Fact 19: Solar energy produce no pollution, have no environmental effects and is ecologically acceptable. Fact 20: Solar energy is one of the most widely used renewable source of energy. One can use renewable energy technologies to convert solar energy into electricity. Fact 21: Space missions by various countries use solar energy to power their spaceships. Fact 22: Solar energy is very reliable source of energy. Fact 23: With new advancements in scientific researches, solar energy could be more affordable in future with decreasing costs and increasing efficiency. Fact 24: Solar energy could prove to be the major source of renewable energy because of its massive potential and long-term advantages. Fact 25: The earth receives about 1,366 watts of direct solar radiation per square meter. Fact 26: The largest solar power plant in the world is located in the Mojave Desert in California, covering 1000 acres. Fact 27: Solar energy is the preferred mode of creating power where the need is temporary. For e.g. : temporary fairs, mining sites, Olympics. Fact 28: Solar energy can also be used to power calculators. Fact 29: Solar panels are virtually maintenance free since the batteries require no water or other regular service and will last for years. 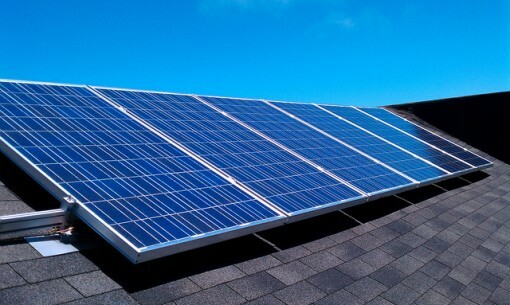 Once, solar panels are installed, there are no recurring costs. Fact 30: Solar power can significantly reduce the electricity bills. Moreover, there are many tax incentives and rebate programs designed to spur the use of solar, and save home owners money at the same time. Fact 31: Solar power is noise pollution free. It has no moving parts, and does not require any additional fuel, other than sunlight, to produce power. Fact 32: A home solar panel system consists of several solar panels, an inverter, a battery, a charge regulator, wiring, and support materials. Sunlight is absorbed by the solar panels and is converted to electricity by the installed system. The battery stores electricity that can be used at a later time, like cloudy days or during the evening. Fact 33: By relying on battery backup, solar energy can even provide electricity 24×7, even on cloudy days and at night. Fact 34: Solar Energy is measured in kilowatt-hour. 1 kilowatt = 1000 watts. Fact 35: Though solar energy is used on a wide scale, it only provides a small fraction of the world’s energy supply. Fact 36: Solar energy is used in many applications including Electricity, Evaporation, Biomass, Heating water and buildings and even for transport. Fact 37: Large investment is one the primary reason why solar energy is not still not used by many people all over the world. Fact 38: Solar energy has been used for over 2700 years. In 700 BC, glass lenses were used to make fire by magnifying the sun’s rays. Fact 39: The sun is also the main source of non-renewable fossil fuels (coal, gas and petroleum) which began life as plants and animals millions of years ago. Fact 40: Clouds and pollution prevent the sun’s rays from reaching the earth. Every year the sun beams to the earth energy to sustain global needs of energy for the entire year. Solar energy is a technology used to convert solar energy into other forms like electrical energy to meet global requirements. As of now only one tenth of global energy needs is supplied by solar energy but the potential for the future is mind boggling.